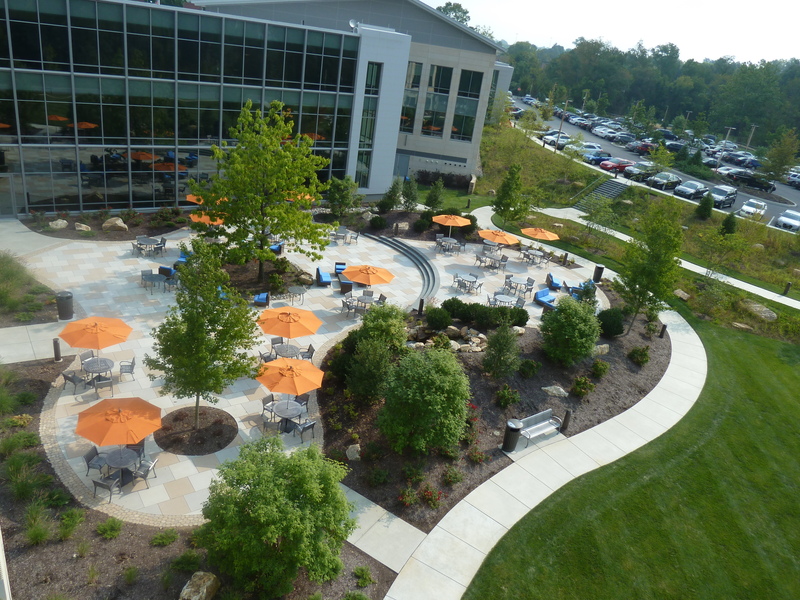 To support the construction of WEST Pharmaceutical’s new corporate headquarters, a unique and user-friendly landscape was programmed into a 2 acre parcel of open land, directly abutting an interior cafeteria. 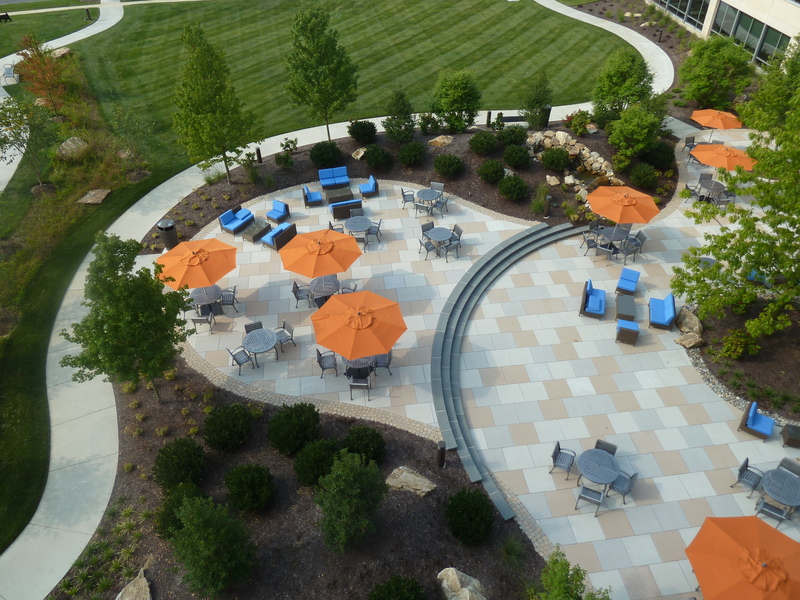 CMC Engineering provided master planning and landscape architectural services for the design engineering, permitting and construction inspection of an expansive outdoor environment. 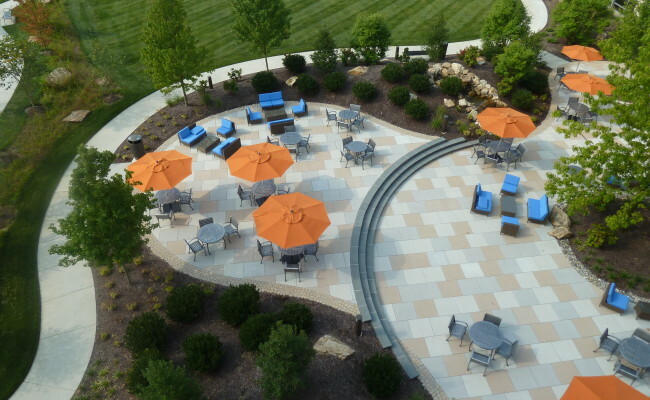 The courtyard incorporated intimate meeting niches, outdoor dining areas and large gathering spaces that encouraged the staff to corroborate on their work related tasks while enjoying the surrounding environment. 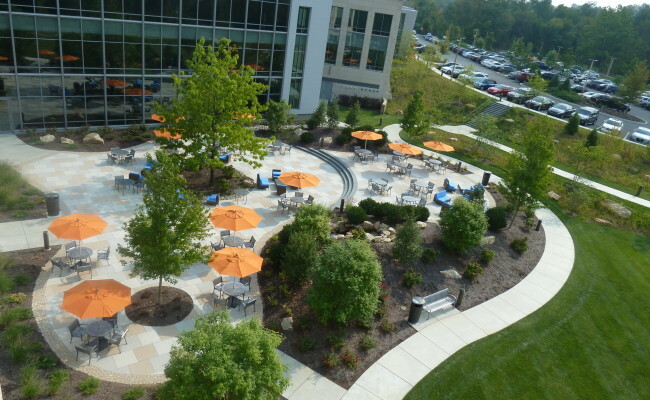 The design expanded upon the LEED Platinum status that was awarded to the building and site by locally sourcing all of the proposed materials, incorporating native plant material, controlling storm water through on-site raingardens and utilizing energy efficient LED lighting.